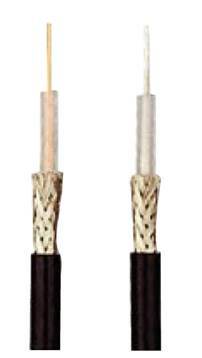 Laird R Series is a low loss Laird R Series is a low loss coaxial cable (black). This 50 Ohm coax cable has a solid center conductor and a cellular polyethylene dielectric. A 100 percent dufoil and 95 percent braided coverage shield coverage prevents loss.